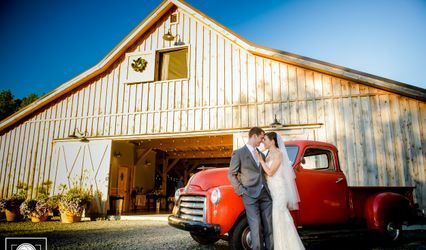 Greywacke Meadows is a 3800 sf new Post & Beam Wedding Barn / Event Venue which will provide a quiet country destination for your wedding day. 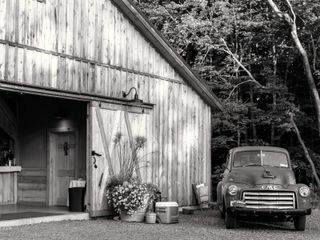 We strive to keep The Barn at Greywacke Meadows affordable. We realize that not every client can spend $26,000 (the average) on a one day event. 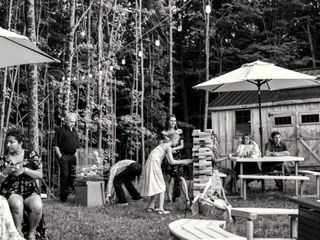 Greywacke Meadows is a unique venue that offers budget friendly options so that we can appeal to all the happy couples out there. 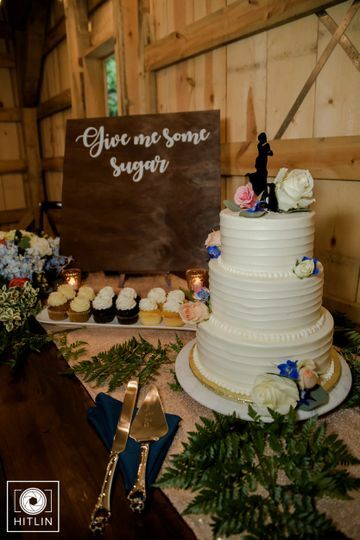 Anything goes here for your food options, Beautiful buffets with tons of food..or maybe BBQ, Pizza Trucks or a Formal Plated Dinner.. Maybe add a cookie bar, or pies of every kind for dessert. We will be happy to provide you with a list of our many approved local caterers to help you in your selection. We want you to choose the kind of food that make you and your budget happy. Greywacke Meadows is situated on 85 beautiful acres in the town of Grafton, NY (Cropseyville Mailing address) which is located near the borders of New York, Vermont and Massachusetts. 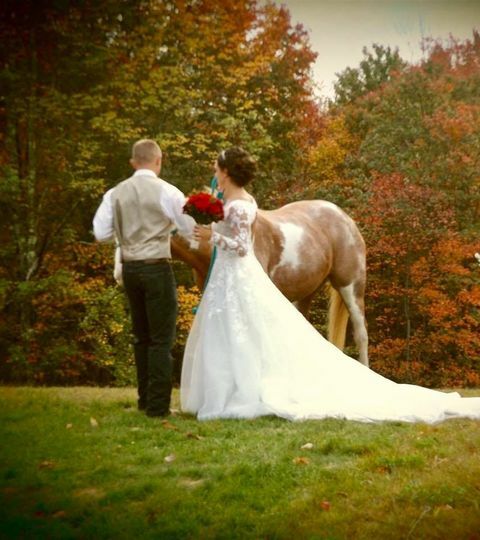 The setting is a beautiful farmhouse, the large and gorgous barn and across the street a meadow for ceremonies that once was home to our grandmothers barn and her horses. It is a large grassy meadow, dotted with greywacke rocks & boulders that were deposited there by glaciers and remain as they have for hundreds of years. 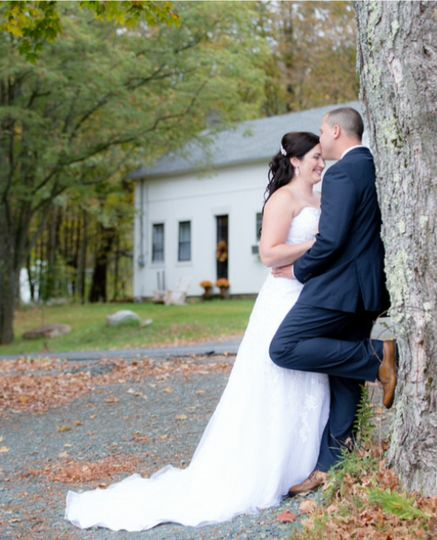 All of this is surrounded by beautiful sugar maples and tall pine trees, which provide endless natural photo opportunities for the all-important wedding and event photos. 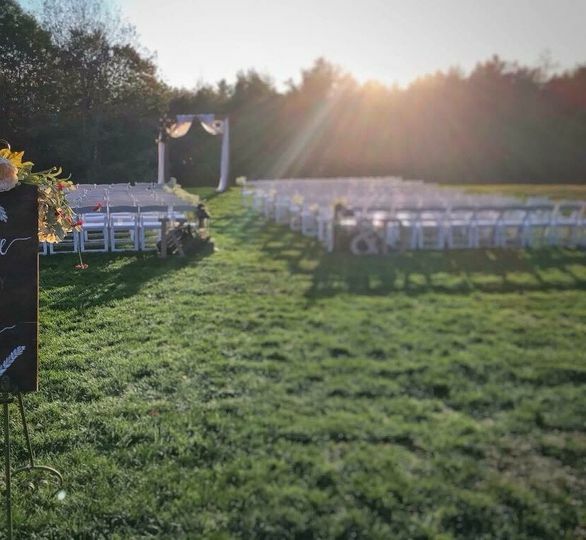 Greywacke Meadows is able to seat up to 200 people comfortably (on one level-230 max occupancy) We provide beautiful solid wood chairs and white linened tables in the barn for your wedding day. 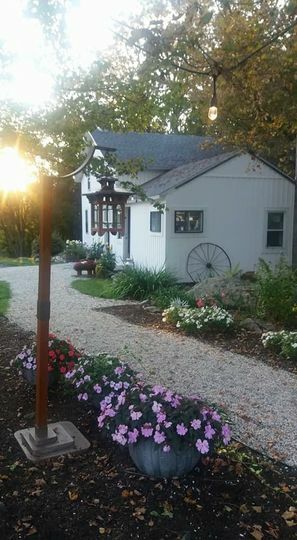 We also have a beautiful post and beam arbor as the backdrop to your wedding ceremony. White chair seating is provided by us for your guests to sit comfortably on during the ceremony. 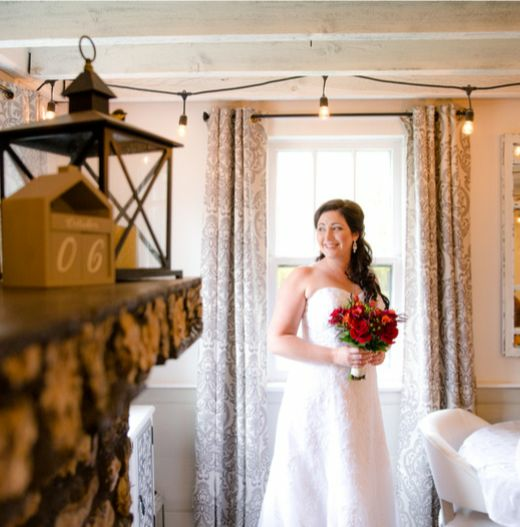 Our venue includes a lovely custom bridal room & on-suite located in the farmhouse near the barn. 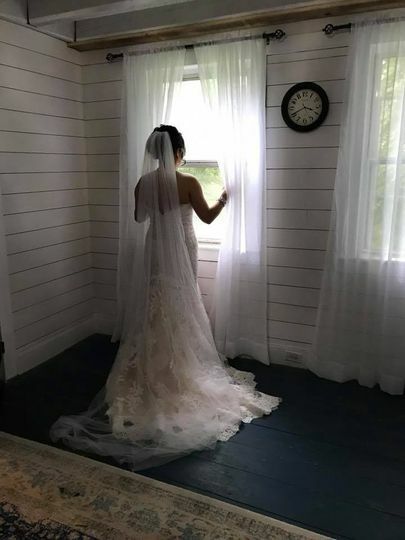 The loft area of the barn is a private and comfortable retreat for the rest of the bridal party to get ready, or just relax and enjoy. These rustic and elegant suites make our clients feel pampered and special on their wedding day. Our custom restrooms right in the barn are something special to see on our tour! 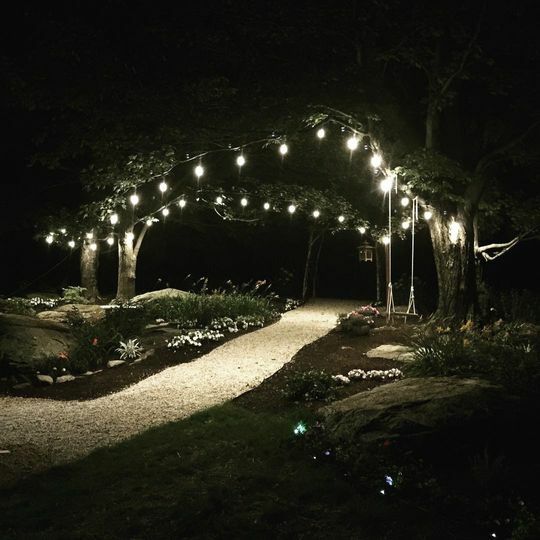 Picture your cocktail hour or maybe dessert on our custom timber framed back porch & courtyard area which is surrounded by romantic white lights and features firelight from our fireplace in the evening. 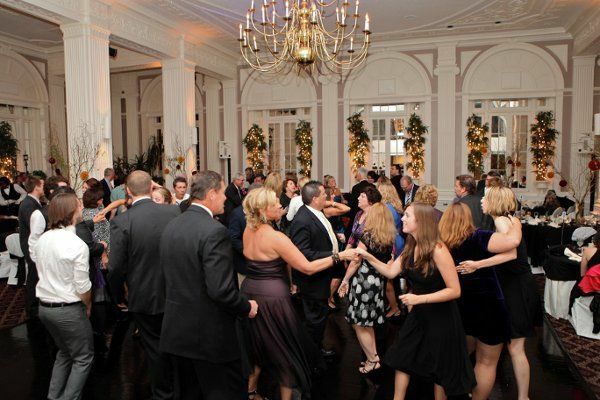 We have plenty of seating areas outdoors for your guests to step outside and take a break from the music and dancing. 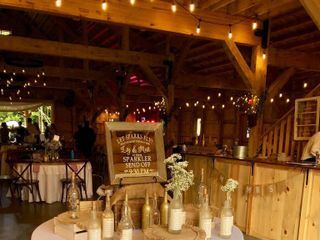 Caterers will use our custom bar area to serve drinks from and since all our caterers on our list have served here before that means a flawless day for you and your guests. All events will have staff present to assist in making this a dream come true! 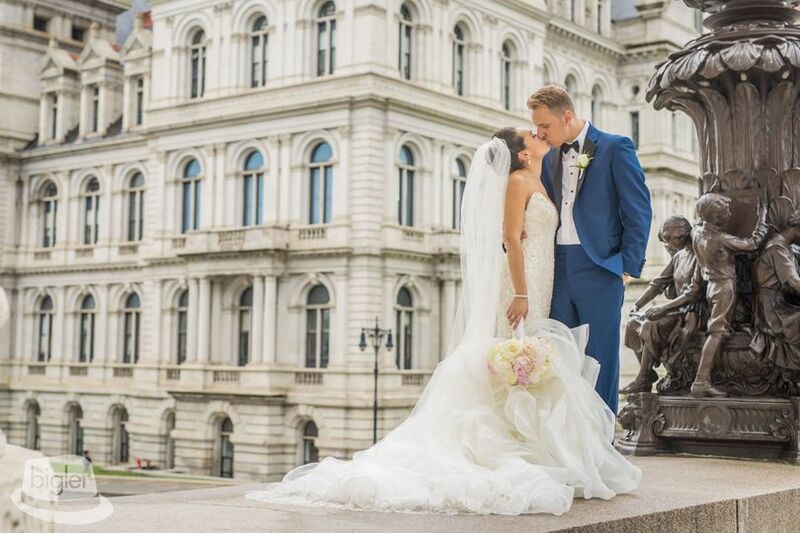 Our co-owners/managers will work closely with our couples from their first point of contact to help them choose and arrange for caterers, music, transportation, officiants, day off coordinators/planners etc. We are located only 12 miles from Historic Troy's Riverfront Nightlife and there are three Hotels to choose from so you and your friends can continue your after-party within walking distance to your hotel if you would like. 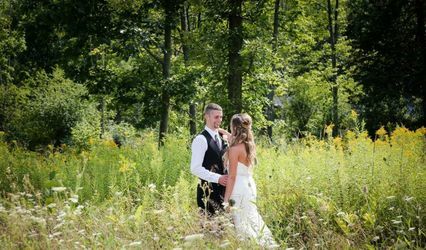 Thank You for checking out our page and we hope you will consider Greywacke Meadows for your Wedding Day. Contact us now for a tour of our beautiful property! Also check out our Facebook business page and Instagram for lots of photos! Some of or first year brides! Met with Jane and Brandon about booking the barn. It is an excellent setting for a wedding and I am very excited about all the little extras you get when you rent the barn for the day. Jane and Brandon have been great so far even though we are still little less than 2 years away they always respond immediately to question that come up about the barn. All the vendors we are using have had high praise for them also. My husband and I fell in love as soon as we saw it for the first time at the grand opening. Jane was very helpful throughout the wedding planning process. The venue has great flexibility for catering options and allows up to full 12 hours on site the day of. It's also a great option for any bride who likes to DIY. 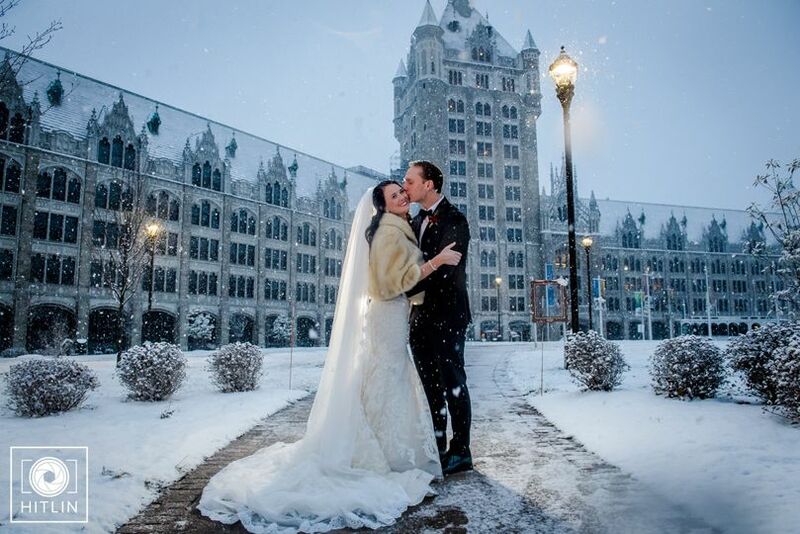 We booked a Sunday wedding for 1/2 price and I don't regret the decision for one second! 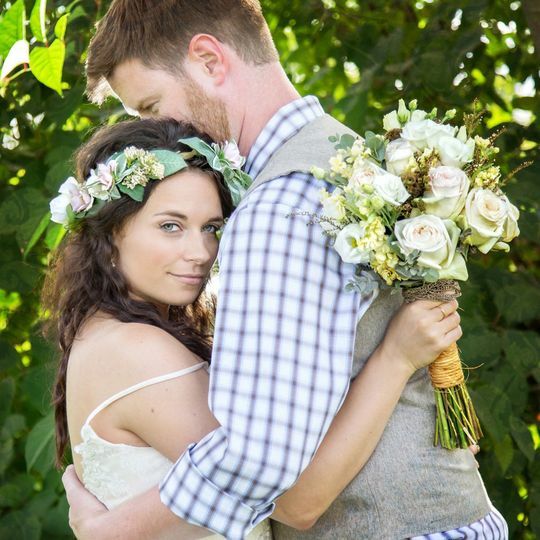 We loved our wedding at Greywacke Meadows! 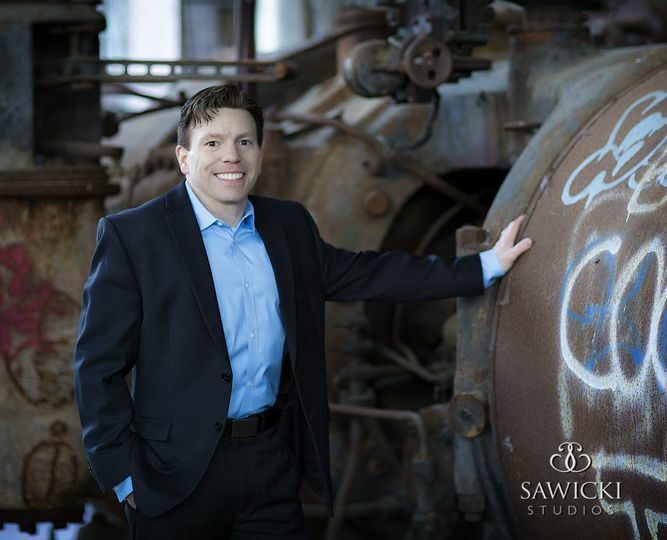 It’s a beautiful spot and Jane and Brandon were wonderful to work with! 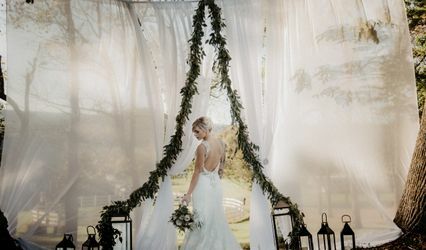 We loved how they included so much in the price of the barn (the beautiful lights, tables, chairs, white linens). They were very present throughout the whole planning process and a big help the day of! 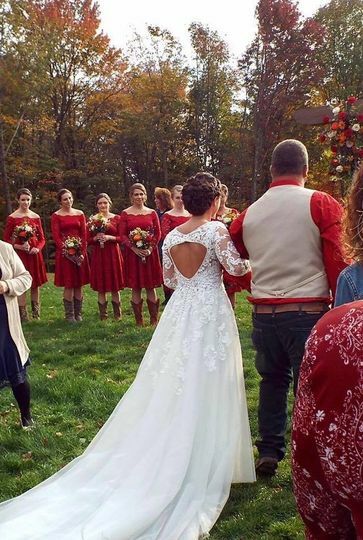 The barn and ceremony space is so beautiful! We loved it! 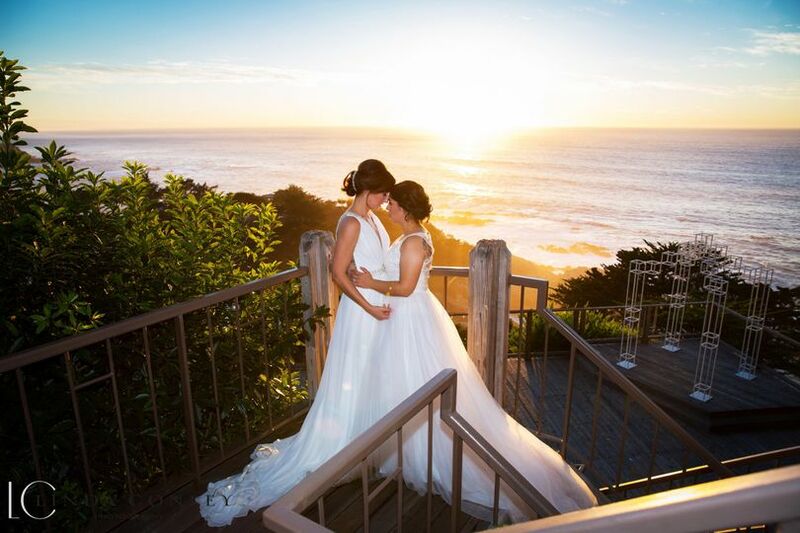 Our Sundays are always priced at almost half price so no matter what your budget is you can afford to get married at a beautiful venue! Contact us for a tour now to see all that we include! Greywacke Meadows is an amazing venue and the bridal suite looks like a setting for Vogue magazine! Such a wonderful location to photograph from the beautiful barn to the woods and gardens. I look forward to my next wedding there!